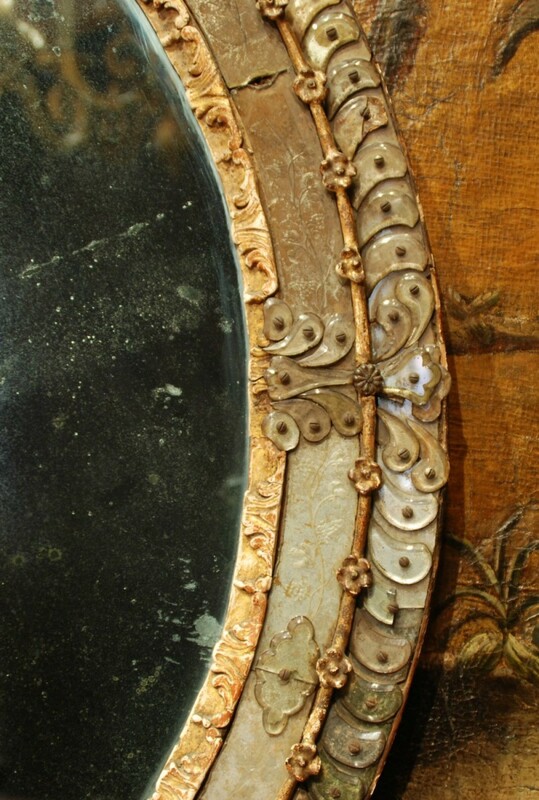 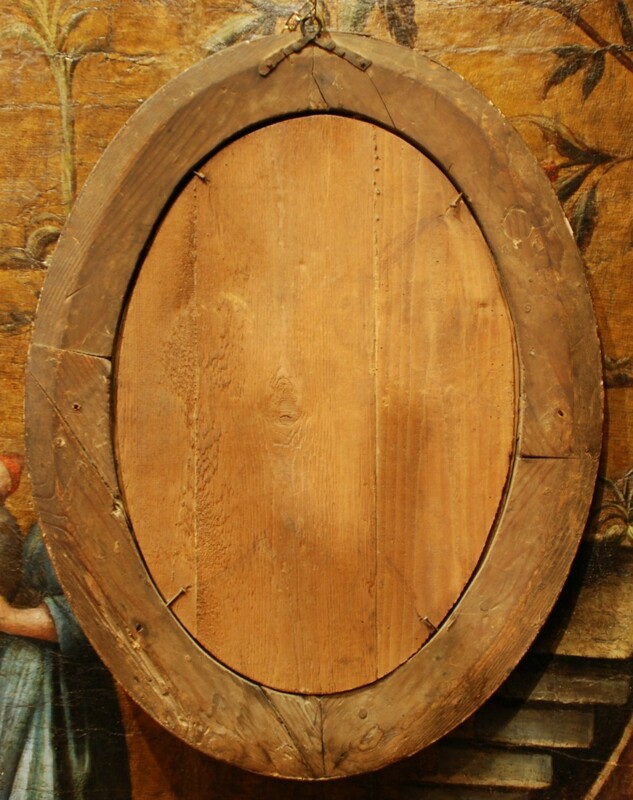 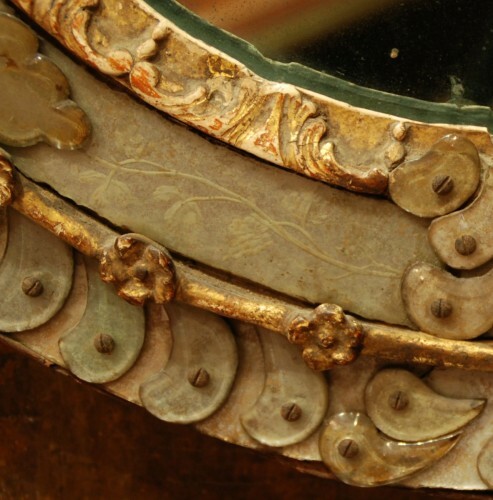 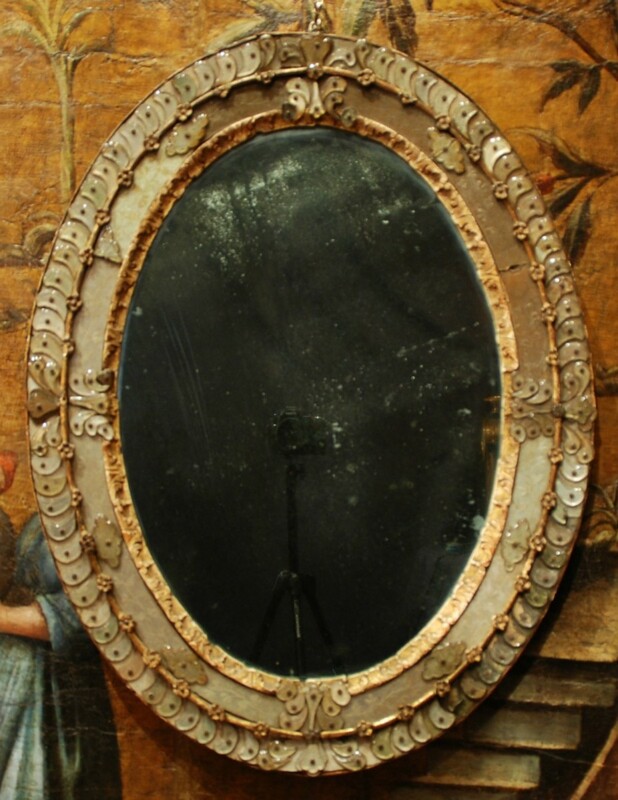 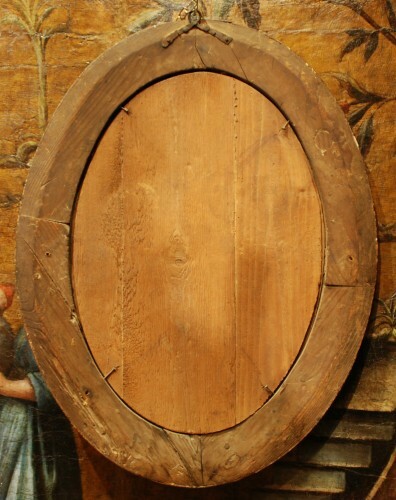 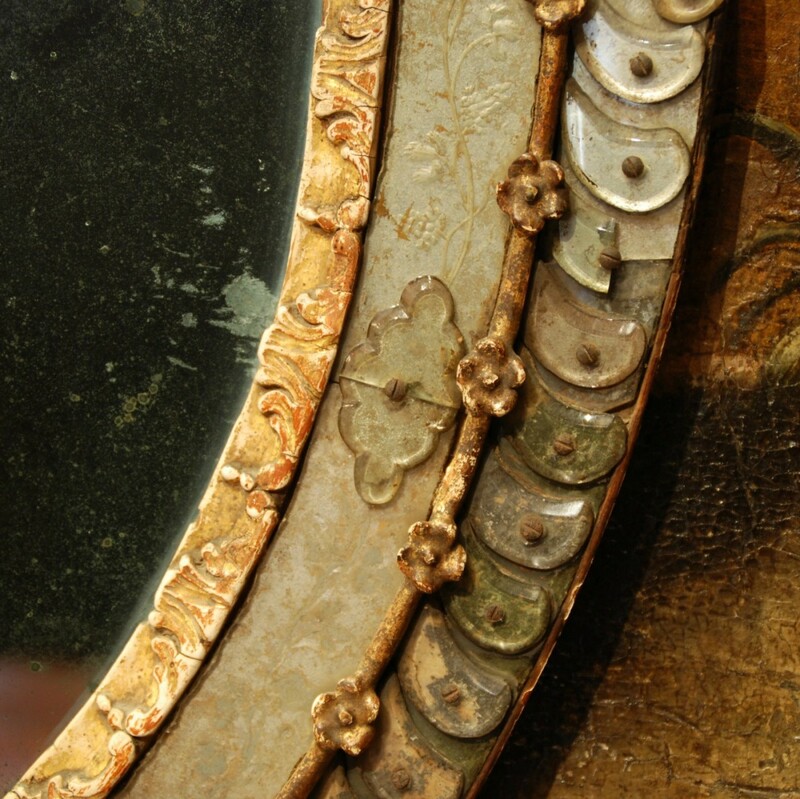 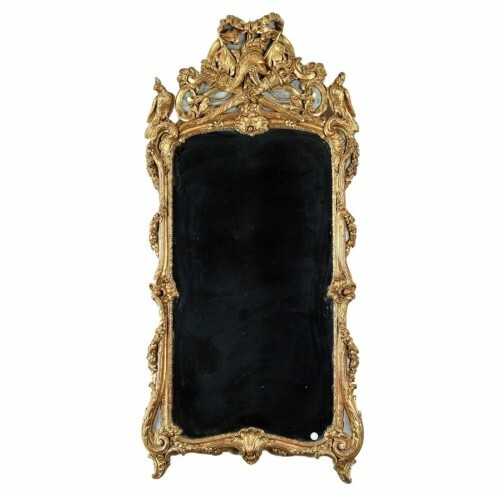 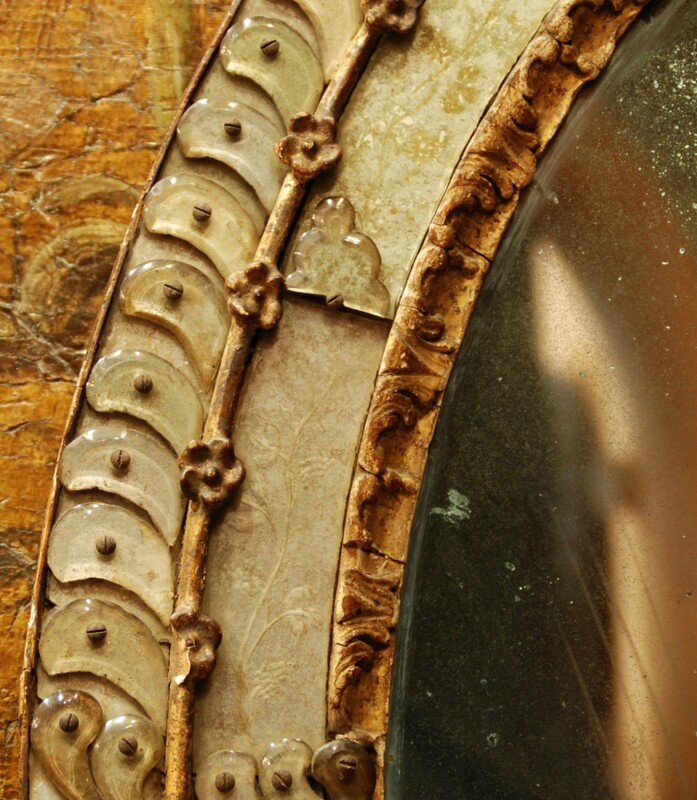 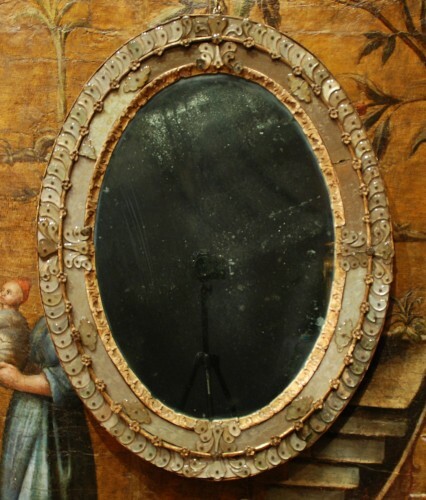 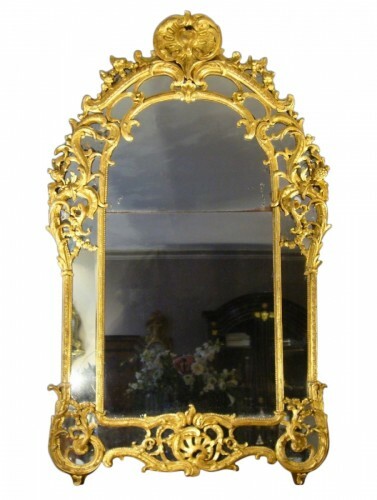 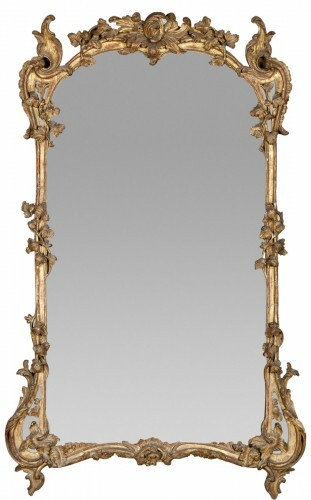 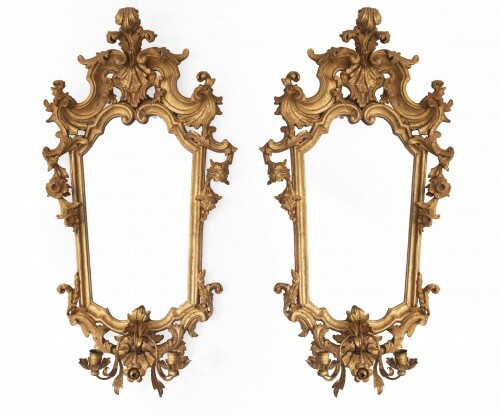 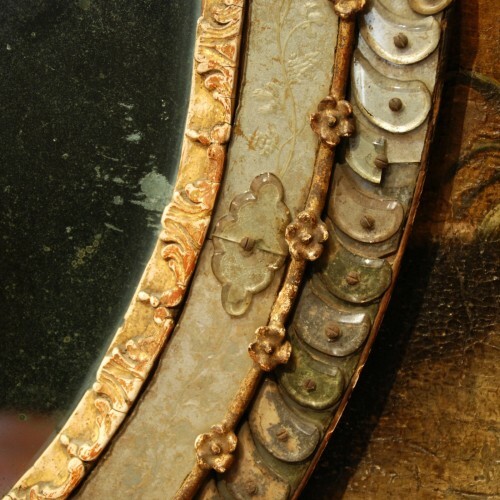 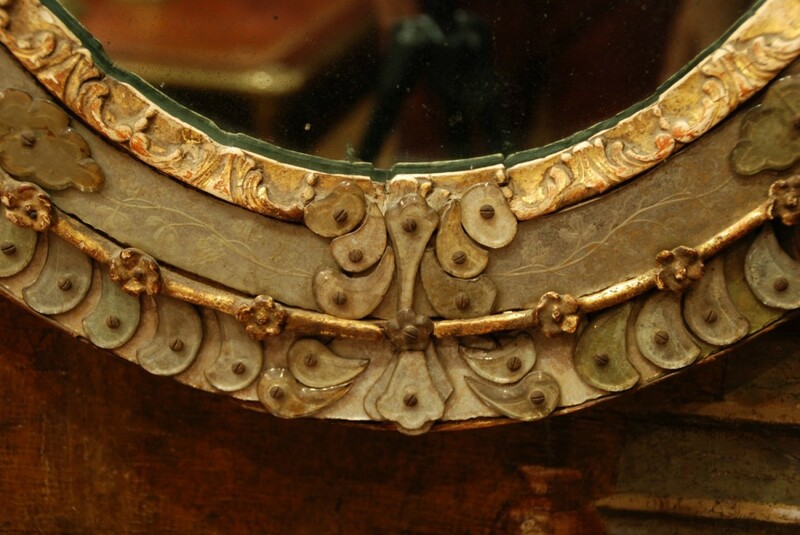 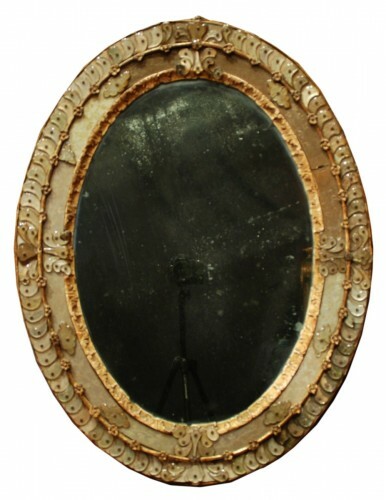 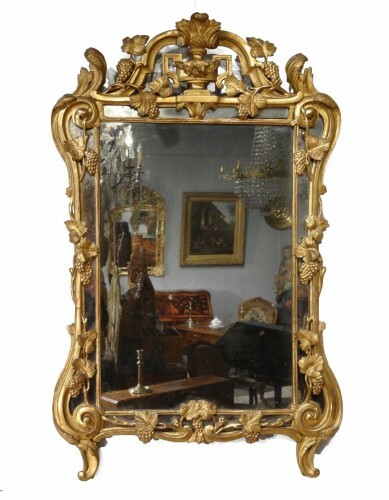 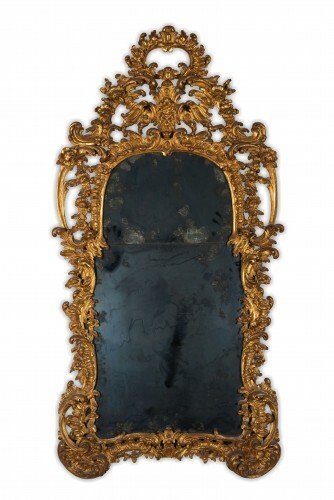 Oval-shaped mirror decorated with engravings under glass surrounded by scrolls and spandrels cut glass, separated by moldings carved wood and gilded. 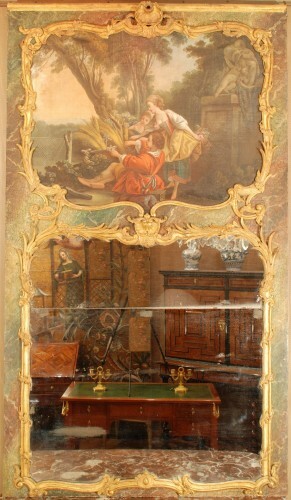 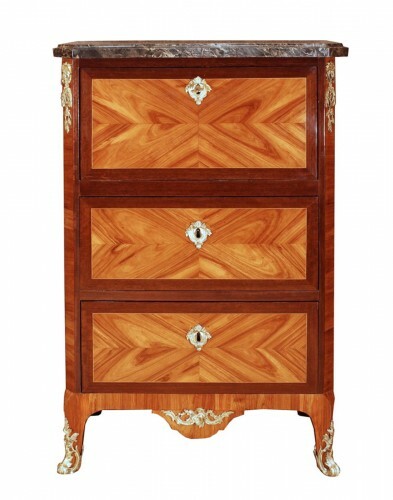 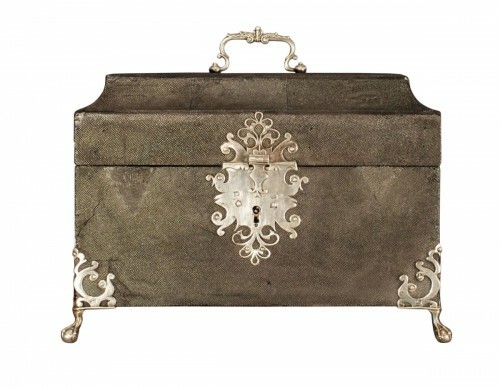 Venetian work of the 18th century. Some small accidents visible in the photos.